#PirateCon2016: Thanks and welcome new Pirate Council! Thanks to everyone who participated in Pirate Con 2016 last Saturday! A big thank you to Aaron James for kicking off the conference, to Maya Shaffer for giving the end talk on the problems with Massachusetts FOIA laws and all of our other great speakers. This was the first time we audio streamed one of our conferences. Thanks to Steve Revilak and Kendra Moyer for making it possible. We are working on streaming the next conference on video as well. We are processing the audio and video we took and would love your help turning it into files we can upload to YouTube and torrent. We have posted the one conference slide deck from Terra Friedrichs‘ Municipal Rights talk. You can find a few pictures of the conference as well. We regret that the Cannabis Legalization talk did not occur, but that gave us more time for lightning talks. We held elections for the Pirate Council and other positions. Those elected were: Captain – James O’Keefe First Officer – Noelani Kamelamela Quartermaster – Steve Revilak Activism Director – Moses Sukin US Pirate Party Representative – Moses Sukin If you are interested in helping, we have other positions open. published under Main Topic, Organizing, PirateCon | Comments Off on #PirateCon2016: Thanks and welcome new Pirate Council! PirateCon 2016 is tomorrow Saturday, June 25th. We have a lot of great speakers and discussion and will be live streaming the audio from it. It is always better in person of course. It starts at 10am and ends at 6pm. It will be in the Tent City Community Room, 130 Dartmouth Street, Boston, MA 02116. Tent City is across the street from the Back Bay Orange Line MBTA station. Aaron James, Pirate Party candidate for 27th Middlesex State Representative will speak. We will also elect our Pirate Council and three Arbitrators. Sign up if you are interested in running. Registration Registration is $10. Youth under 18 are free. You can pay in advance or just tell us you will attend if you prefer to pay at the door or are under 18. Schedule Time Talk/Panel Speakers 10am Keynote Aaron James 10:30am What We Can Accomplish in Town Meeting Steve Revilak (Pirate Party Quartermaster & Arlington Town Meeting Member) 11am Pirate Organizing Group Discussion noon Lunch & Key Signing 1pm Cannabis Legalization John Minsion 2pm The Dark Web Paul Paradise, Kendra Moyer 3pm Lightning Talks & Pirate Issue Discussion 4:30pm Municipal Rights Terra Friedrichs (Pass Mass. Amendment) 5pm FOIA For Fun and Liberation Maya Shaffer Look for more information at the PirateCon 2016 page. Thanks for the 2016 Pride Parade! 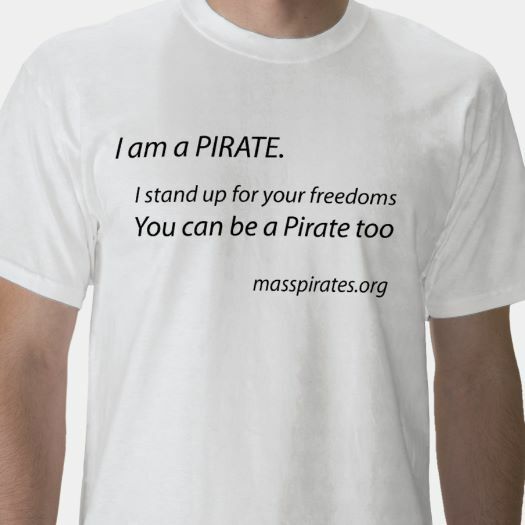 A belated thank you for the pirates who marched with us in the Boston Pride Parade this year, to the organizers of the parade, and the thousands of people who marched in it or came out for it. We are looking forward to our upcoming events including Aaron James’ campaign for State Representative, PirateCon this weekend, a Western Mass. cryptoparty and Freedom Rally. Here are a few pictures from the parade. More are also available or all of them. published under Cryptoparty, Main Topic, Out And About, PirateCon | Comments Off on Thanks for the 2016 Pride Parade! PirateCon 2016 is this Saturday, June 25th. It starts at 10am and ends at 6pm. It will be in the Tent City Community Room, 130 Dartmouth Street, Boston, MA 02116. Tent City is across the street from the Back Bay Orange Line MBTA station. Aaron James, Pirate Party candidate for 27th Middlesex State Representative will speak. We will also elect our Pirate Council and three Arbitrators. Sign up if you are interested in running. Registration Registration is $10. Youth under 18 are free. You can pay in advance or just tell us you will attend if you prefer to pay at the door or are under 18. Schedule Time Talk/Panel Speakers 10am Keynote Aaron James 10:30am What We Can Accomplish in Town Meeting Steve Revilak (Pirate Party Quartermaster & Arlington Town Meeting Member) 11am Pirate Organizing Group Discussion noon Lunch & Key Signing 1pm Cannabis Legalization John Minsion 2pm The Dark Web Paul Paradise, Kendra Moyer 3pm Lightning Talks & Pirate Issue Discussion 4:30pm Municipal Rights Terra Friedrichs (Pass Mass. Amendment) 5pm FOIA For Fun and Liberation Maya Shaffer Look for more information at the PirateCon 2016 page. published under Elections, Main Topic, Organizing | Comments Off on PirateCon is Saturday! PirateCon 2016 is only a week away. It will be Saturday, June 25th at the Tent City Community Room, 130 Dartmouth Street, Boston, MA 02116. It starts at 10am and ends at 6pm. Aaron James, Pirate Party candidate for 27th Middlesex State Representative will speak. We will also elect our Pirate Council and three Arbitrators. Sign up if you are interested in running. Registration Registration is $10. Youth under 18 are free. You can pay in advance or just tell us you will attend if you prefer to pay at the door or are under 18. Schedule Time Talk/Panel Speakers 10am Keynote Aaron James 10:30am What We Can Accomplish in Town Meeting Steve Revilak (Pirate Party Quartermaster & Arlington Town Meeting Member) 11am Pirate Organizing Group Discussion noon Lunch & Key Signing 1pm Cannabis Legalization John Minsion 2pm The Dark Web Paul Paradise, Kendra Moyer 3pm Lightning Talks & Pirate Issue Discussion 4:30pm Municipal Rights Terra Friedrichs (Pass Mass. Amendment) 5pm FOIA For Fun and Liberation Maya Shaffer Look for more information at the PirateCon 2016 page. Reposted from the Vote Aaron James campaign site. The event will be Tuesday, June 14th at Arts at the Armory, 191 Highland Ave, Ste 1-C, Somerville, MA 02143. It starts at 6pm and ends at 9:30pm. 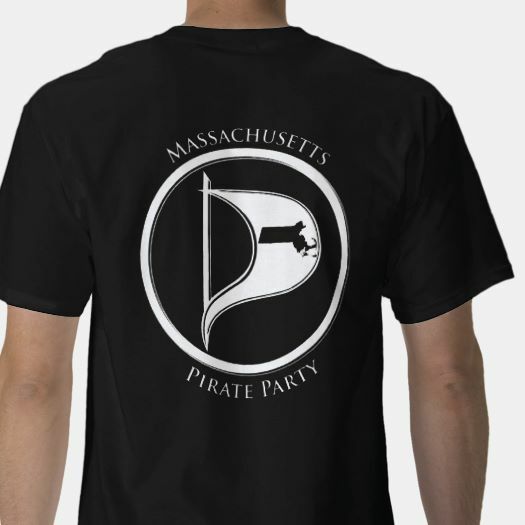 You’re invited to meet Aaron James, Massachusetts Pirate Party Candidate for State Representative in the 27th District – Somerville, and to contribute to his campaign! The campaign is very pleased to announce that the Massachusetts Patient Advocacy Alliance and the Parents for Autism Law Enforcement Training fundraising for Be Safe the Movie – will be attending the event! Additionally, we’ll be joined by independent film maker and director, Christopher Ferreira, DJ Biclops of 4ORCE PRODUCTIONS, Matthew Parello- Director/Founder Downtown Dance Center, Beau Douglas – Professional wrestler and head trainer at Bell Time Club Training Center, and last, but not least, Patrick Tracey – Professional author and mental health advocate. Please RSVP via the Facebook Event or by emailing the campaign at info@voteaaronjames.org. We, of the Massachusetts Pirate Party, send our condolences for victims of the tragic shooting at the Pulse Nightclub in Orlando, Florida. 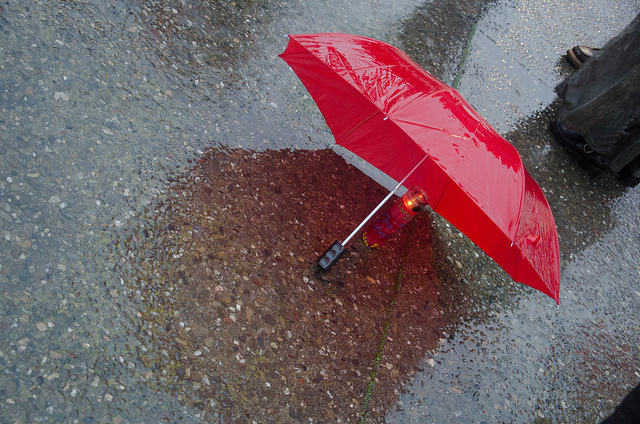 We hope for the safety and well-being of victims, survivors and their loved ones. As a group dedicated to innovation and peaceful civic action, we condemn the targeting of queer folk of color and allies in this horrendous attack. We are not free until we are all free; we are not safe until we are all safe. This link (http://bungalower.com/2016/06/12/pulse-shooting-locals-need-know/), provided by a local in Orlando, Florida, contains information on how you can help by donating money, blood or attending local vigils. Local vigils are currently being propagated via social media on different platforms. We believe that we must use the internet to provide truthful information and assistance to those in need. For those of you who feel traumatized by this event, there are services available to you nationally via the Substance Abuse and Mental Health Services Administration (SAMHSA): you can call 1-800-985-5990 or text TalkWithUs to 66746 to connect with a trained crisis counselor.